Like all good lists this is, of course, organic and ever-expanding. I’ll add more titles as I remember or discover them and welcome comments and suggestions. These (mostly recent) titles will appeal to newly independent readers roughly aged 6-10 depending on interests and reading ability. 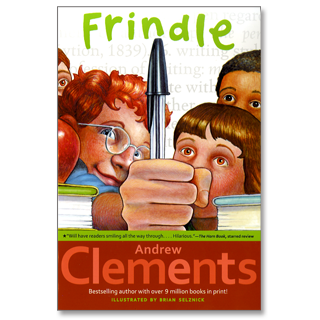 FRINDLE, THE JANITOR’S BOY (A Week in the Woods, The Report Card, The Last Holiday Concert, No Talking, Lunch Money, Room One: A Mystery or Two) by Andrew Clements. – The Clements school series is highly readable (and great to read aloud) and humorous. – Characters all middle graders and are appealing and well drawn. 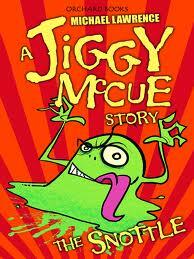 THE JIGGY McCUE series by Micheal Lawrence. – slightly older than Wimpy Kid but very similar formula with first person narrative, school and home, friends and family. Set on and around an English farm estate the stories are funny and fast with a slightly nutty and light-hearted. 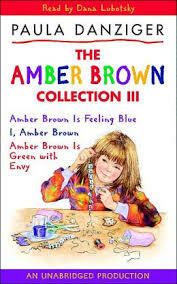 The AMBER BROWN series by Paula Danziger. – Amber Brown is slightly younger than Wimpy Kid (year 4 mostly) so possibly better for 7-8 year olds and probably more appealing for girls. MY HOMEWORK ATE MY HOMEWORK, LUCKY CAP and OUTSTANDING IN MY FIELD by Patrick Jennings. 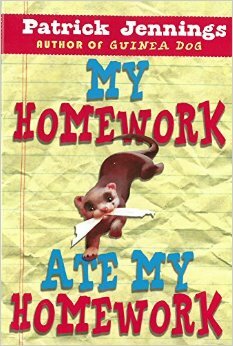 – like Wimpy Kid these stories are funny and use first person narratives, short chapters and sentences, school/home settings, lots of action and dialogue and animals. 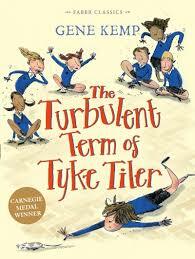 (The Turbulent Term of Tyke Tiler, Charlie Lewis Plays for Time, Gowie Corby Plays Chicken and Just Ferret) by Gene Kemp. – The stories have a depth and complexity (around adult-child relationships particularly) that many other books for this age group lack. THE CARTOONIST and THE 18TH EMERGENCY by Betsy Bryars. – Both have home and school settings – middle grade characters battle different problems. – third person narrative yet very good, realistic dialogue that capture a child’s POV. HOW TO TRAIN YOUR PARENTS, HELP! I’M A CLASSROOM GAMBLER and TRUST ME, I’M A TROUBLEMAKER by Pete Johnson. 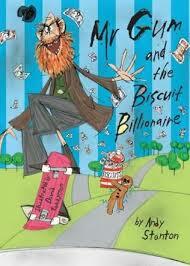 -This writer specialises in funny novels for 8-12 year olds. The first two are written in first person narrative, the third a dual narrative. – The world of home, school, friends – small catastrophes that end happily. This is a major new series from Andy and Terry- and it’s the logical evolution of all their previous books. There are echoes of the Just stories in the Andy and Terry friendship, the breakaway stories in the Bad Book (the Adventures of Super Finger), there’s the easy readability of the Cat on the Mat and the Big Fat Cow, and like all these books, the illustrations are as much a part of the story as the story itself. – Funny, irreverent, accessible – Walliams gets boys reading. – Walliams’s debut children’s novel, The Boy in the Dress, was published in 2008 to unanimous critical acclaim and he has since developed a reputation as a natural successor to Roald Dahl. – American fare. Two fourth graders, George Beard and Harold Hutchins, and the aptly- named superhero they accidentally create by hypnotizing their principal, Mr Benny Krupp. – The series won a Disney Adventures Kids’ Choice Award in 2007. – Loads of slapstick humour to enjoy in the pictures, as well as easy-to-read speech bubbles that support the longer narrative. George and Harold – Two 4th grade pranksters, who are best friends and next-door neighbours. They started a comic book company called “Treehouse Comix Inc.,” and every day at school they go to the secretary’s office to make copies of their latest comic book and sell them on the playground. George is identified by his tie and flat top haircut, Harold is recognizable by his T-shirt and bad haircut, a gag that always starts every book. Londoner Andy Stanton has now written 9 books in this series – winning numerous prizes including the Red House Children’s Book Award, two Blue Peter Book Awards for Best Book With Pictures and the inaugural Roald Dahl Funny Prize. Very funny and irreverent with a cast of great characters. Look out for the audio recordings with Kate Winslet narrating (2012). – Nate is a great character, not always conformist and lovably flawed. This is a light and humorous take on friendship, family, school. 3. THE TREEHORN TRILOGY (The Shrinking of Treehorn, Treehorn’s Treasure, Treehorn’s Wish by Florence Parry Heide & Edward Gorey). ALDO ZELNICK comic series by Karla Oceanak and Kendra Spanjer. Re 5 & 6 above – These classics will appeal to both boys and girls. “These immortal books have great narrative drive, marvellous illustrations and sophisticated humour” with “great casts of characters and inter-relationships.” Kate De Goldi. 7. TALES FROM OUTER SUBURBIA by Shaun Tan. – A single book with a series of stories that explore what lies beneath the ordinary and domestic. Quirky with absorbing illustrations. 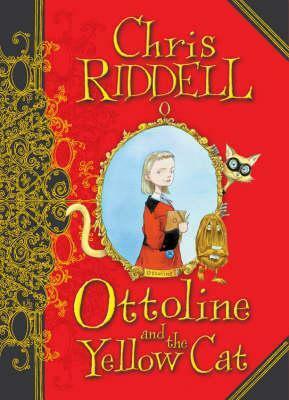 *For reviews and information I consulted * Goodreads, The Guardian, Booktrust 100 Best Kids books, Kate De Goldi @ NZ Book Council’s Booknotes Unbound, NZ Listener, NY Times Book Reviews, Personal bookshelf, Librarians Picks.